WITHIT DC Metro. We are HERE! As a member of WITHIT for the past 6 years I have had ample opportunity to see first hand how the WITHIT Word spreads….would be a whole nother blog sharing how many times I’ve seen a simple introduction lead to a deeper meeting and before you know it a really cool connection is made and the rest is history as our lives become enriched for a new resource, a new friend and even a new member. 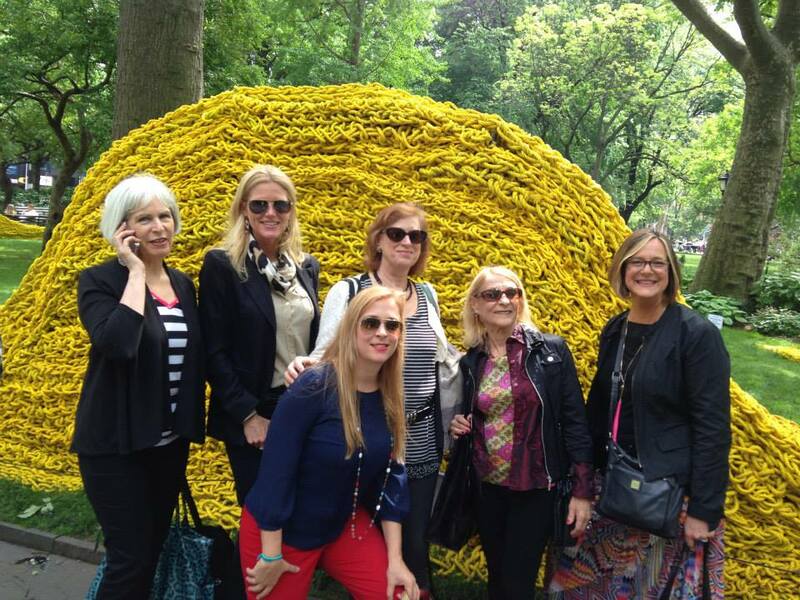 Jana Platina Phipps, Betty Lynn Eller, Deb Klein/ the core of the NYC chapter and NYC Inside Design Tour, you ALL ROCK at this! It has been so rewarding for me to be part of just such a scenario, most recently as a small group of like minded women ended up together, put their heads together, and somehow landed on a date where IT “worked”, penned IT on our respective calendars and made IT happen. 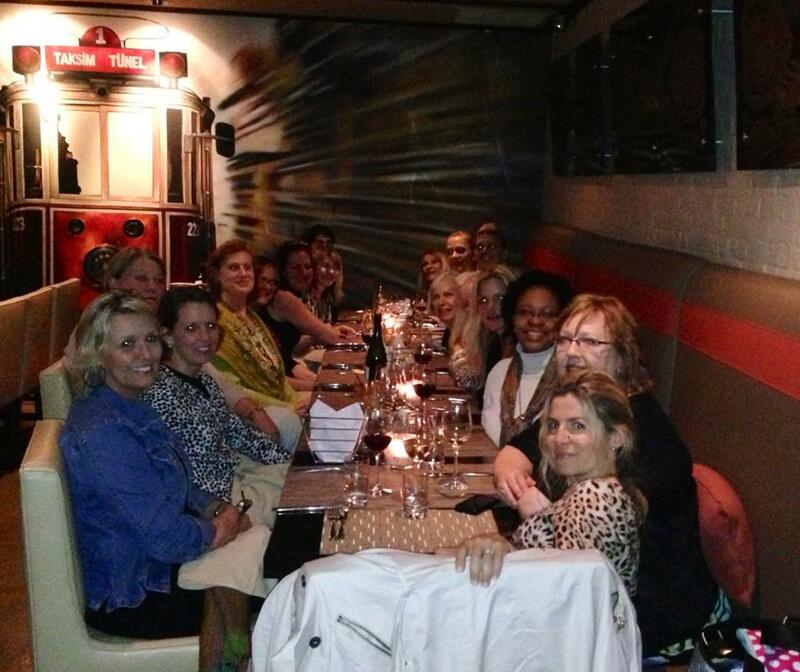 IT being the inaugural event for the newly formed DC Metro Chapter of WITHIT. At a lunch meeting on May 22nd, IT was determined that June 17th, 2015 IT would be. 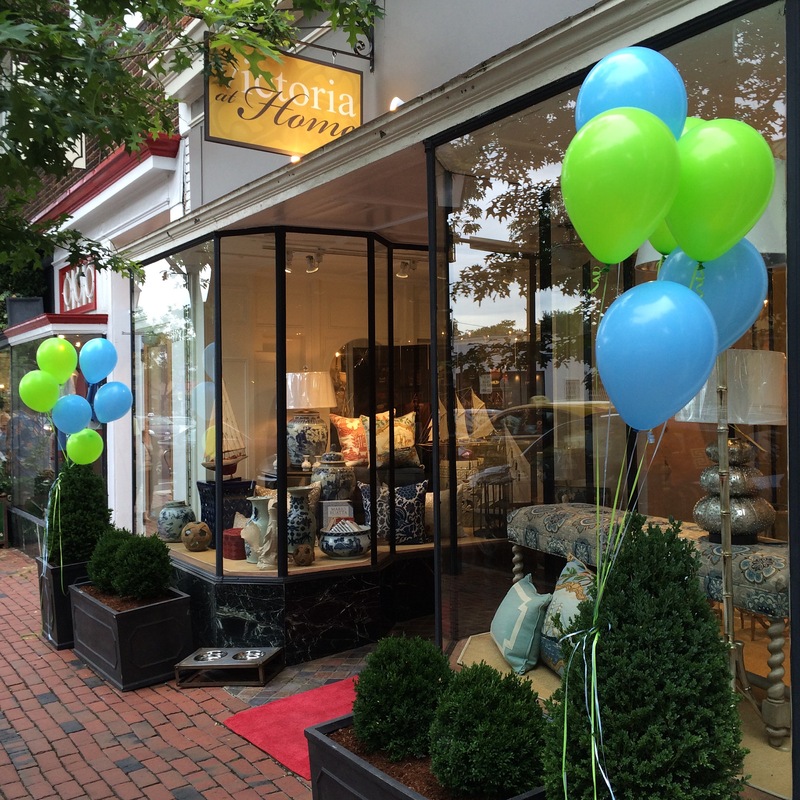 Without hesitation Victoria Sanchez generously offered to host this event at her gorgeous store, Victoria at Home, in Old Alexandria. 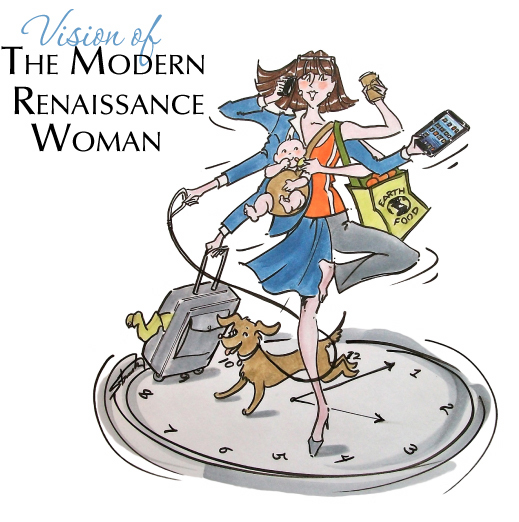 We all left with our respective to do lists and we set off back into our busy busy lives, with this new nuance added. 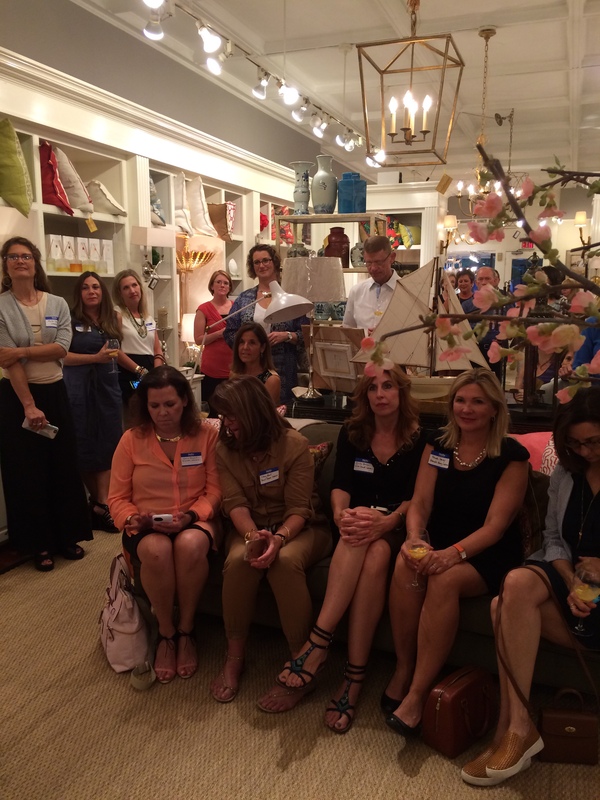 The event was less than a week ago and I still have a buzz for the energy that filled the store as 50 plus women (and a smattering of men/so happy you joined us) mingled and chatted while nibbling on a delightful array of savories and sweets, punctuated with a tantalizing sangria. How wonderful was it to introduce so many people to WITHIT in one fell swoop? How wonderful to do so in the beautiful surroundings of one of our newest members store? How wonderful it was for Amanda Kinney and I, as veteran members, to share with the group a little about our WITHIT experience and what it could mean for anyone that cared to join? How wonderful for the enthusiastic response to said introduction, as people approached us to not only express a desire to join but also to host future events? Yup, IT was amazing! The energy was amazing! The response was amazing! And the joy felt by all of us that contributed to make this happen…well, it was right up there with amazing. Someone asked if there was a minimum number of people needed to merit a Chapter being formed, and I said, “we are all good”…no minimum requirement to meet. Chapter is formed. We are here to stay and we are so excited for what will follow. I was so tempted to detail out how this all came about/as I really like how IT happened, but suffice it to say, that what happened last week in Alexandria VA was a result of putting something out to the universe. IT was a result of people coming together to offer what they can to make IT happen… of offering something to fill a need for those specifically in the home furnishings industry… AND most importantly, of people saying YES to the invitation….the rest is history as they say. Thrilled for the people I worked with and met that fine night and so very much look forward to our thriving DC Metro Chapter. It’s going to be great! P.S. Anybody has more photos to share, or comments on the night, please feel free to do so. Deb Barrett Speaking at ZAAR: WOW! …and what else is WOW for???? WOW…. Yes, it is first and foremost for the honor I have of securing Deb Barrett, whose self proclaimed mission is to “inspire and energize her fellow design peers by sharing her knowledge and experience about her two passions- couture window coverings and trendspotting and Design.” for my Lunch n Learn on Sunday April 19th at ZAAR Design Center….specifically as she is leading, with Jackie Von Tobel, their inaugural VIP High Point Buyers Tour/ in cooperation with the High Point Market Authority, during this Market….she also leads a tour to Paris each year around the Maison & Objet show….in case you are interested. YES! 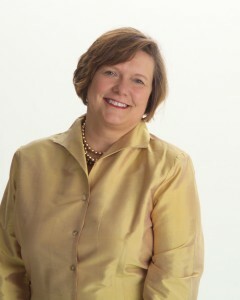 read more about Deb here....as her list of accomplishments and what she has to offer is VAST! 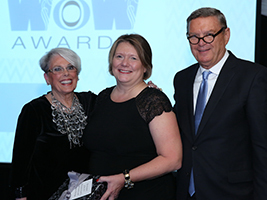 WOW…is for the award, yes it is called the “WOW AWARD”, she was honored to receive in January, in Las Vegas, and presented/awarded by WITHIT, for her commitment and work in the area of Education in the Home Furnishings Industry. CONGRATULATIONS! WOW….is for the fact that both Katy and Maria have spoken at ZAAR in the past. YES! And now, 3 for 3 eh? HONORED! WOW….is how I feel when I recall my first connections with each of them (@ WITHIT Conferences) and how it evolved to the place where they respectively agreed to speak at ZAAR….Katy’s topic “How to Think Like a Million Dollar Designer” and Maria’s topic “Deconstructing Whites For Interiors I The Essentials Every Designer Must Know…. were smashing hits and I know Deb’s seminar will round this all out nicely taking us on a World Tour: Smart Designs From the World’s Top Markets. AMAZING! WOW…is for their energy, their expertise, the way they so warmly communicate so much knowledge to their audiences… SMART WOMEN SHARING! 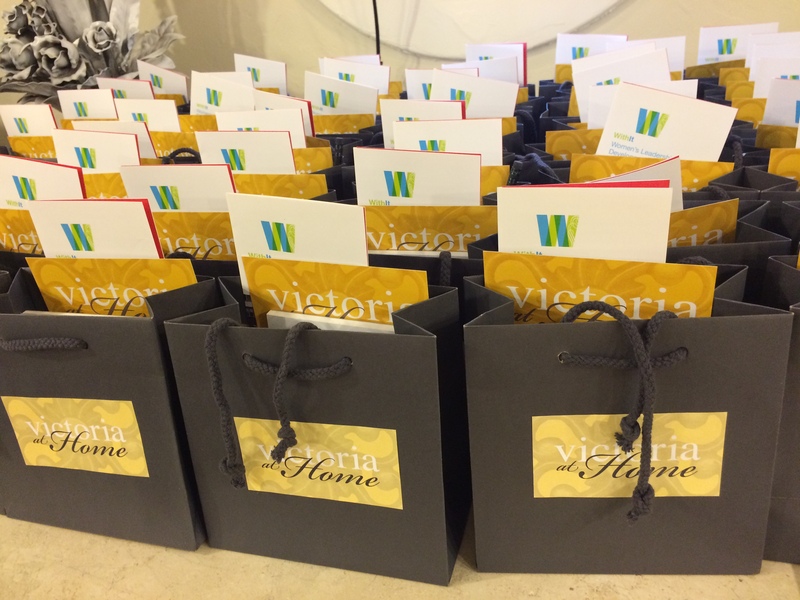 WOW…is for the many WITHIT Members that turn out for these seminars….THANK YOU! WOW….is for what you will feel after hearing Deb speak. Having had the pleasure of hearing her present in September at the High Point Design Center’s Designer Appreciation Day I can vouch for the fact that you will not only learn a lot but you will enjoy the process. 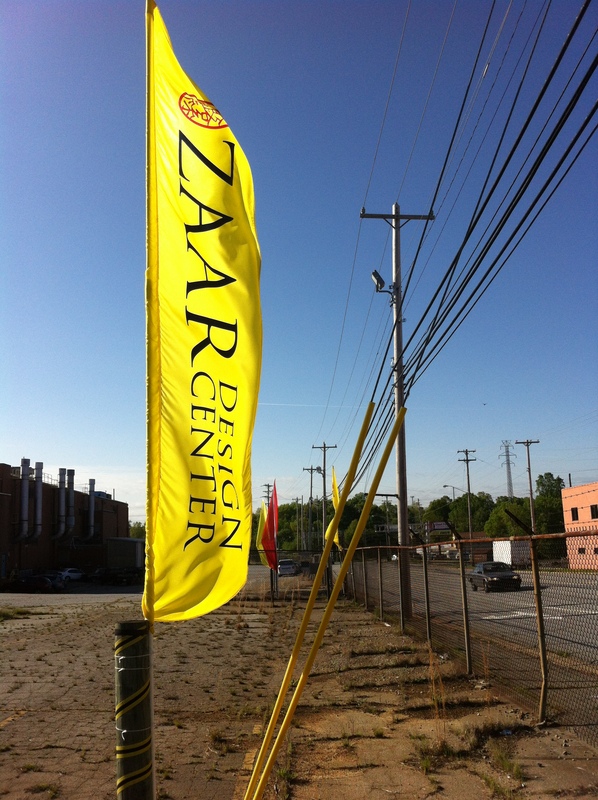 WOW…is how I am going to feel as I welcome YOU to ZAAR Design Center, filling our showroom with an engaged audience, excited to learn what Deb has to share….GRATEFUL! Won’t you join us for this WOW event???? Ooops, almost forgot to mention…this is an IDCEC CEU Accredited Course AND it is FREE! ..because there is no better Gift I could give myself AND my business. End of Story. How’s that for a testimonial eh? This is not the first time I have written about the value of attending a WITHIT event… and in fact over the past 4 years I have in one form or another included a reflection, where I have been effusive about what I have garnered from attending a WITHIT sponsored event. Why? Because I get so juiced up about it and can’t stand other people not knowing about it/missing the opportunity. Seriously, aside from having High Point Market dates set in stone I also have the annual WITHIT leadership conference, which takes place each August, and the WITHIT sponsored New York City inside design tour, which takes place each May, as solid don’t mess with my schedule dates, as they are booked! Why? Well, I already stated that succinctly above, but more so, as my years in WITHIT grow in number so do the benefits that I reap as I embrace all that membership in this vital networking group has to offer, and there is no better way to get sold on the benefits of being a WITHIT member then by attending their leadership conferences. Talk about bang for your buck! As with every WITHIT sponsored event it is done first class. Great venues. Inspiring speakers. Breakout sessions, round tables (of which I had the honor of moderating one a couple of years back), and loads of opportunities to start and foster friendships that simply grow organically as you take this time to be with what feels like a curated group of women that are your peers and subsequently your friend once you say hello. Jena Hall, one of the founding members of WITHIT, implanted an image in my mind, during her presentation a couple of years back, that epitomizes my association with what I’ve coined as my #withitgalpals….and that is of a string of women, on a stairwell if you will, each with her arms outstretched. Each is reaching up with her right arm as someone is there grasping it/ elevating her and with her other arm each is reaching down as she is elevating another. THAT in a nutshell is what I feel about my experience at each and every gathering. We each have something to get and we each have something to give. Perfection! Need to create that actual image at next conference, don’t you think? I write this on the cusp of the Spring 2014 High Point Furniture Market . 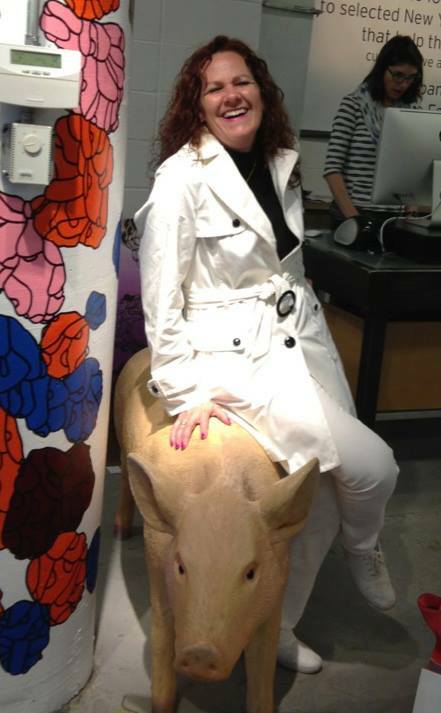 I’ve been participating in the furniture market since 2004. My, how my Market experience has changed since those early days of coming here alone and working alone…. I look forward to attending the WITHIT sponsored events, including pre market kick off, Sunday breakfast and Competitive Intelligence, where I can foster those budding relationships and spark new ones….and also be educated/inspired! I look forward to hosting my own Lunch n Learn on Sunday, where John Lusher will be speaking on Social Media for Interior Designers….John, who I initially “met” on twitter back in 2009 via fellow WITHIT members. I look forward to having, as I have had the pleasure of experiencing in Market’s past, a bevy of WITHIT supporters attend said event. And I look forward to using this event as a platform to promote WITHIT to my guests. I similarly look forward to supporting the many WITHIT members that have showrooms, are hosting events, seminars/lunches/parties and/or are launching product lines in various showrooms. The list here is impressive and way too long to include here. 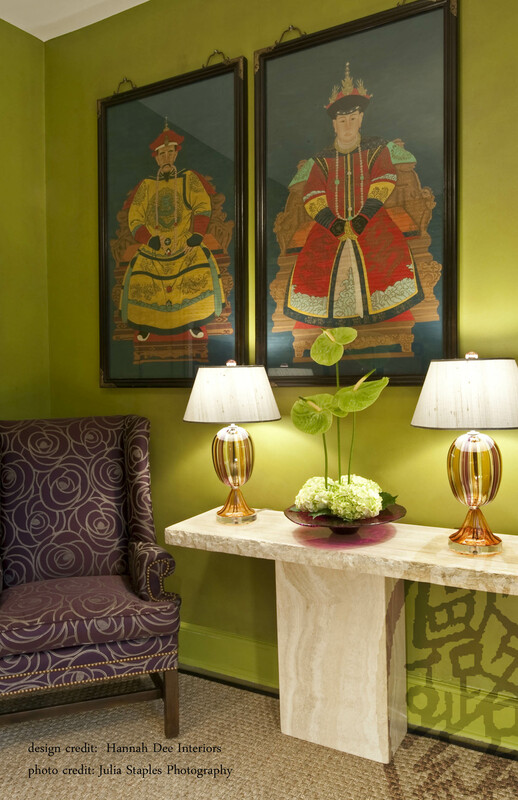 I look forward to spending a fair bit of time in the CR Laine Showroom, where my Chinese antiques are working hand in hand to showcase the wonderful products put out by this NC based company. Their VP of merchandising, a WITHIT connection initially sparked on facebook and then fostered at Market breakfasts, has grown into a mutually satisfying trade partnership and friendship…simultaneously. 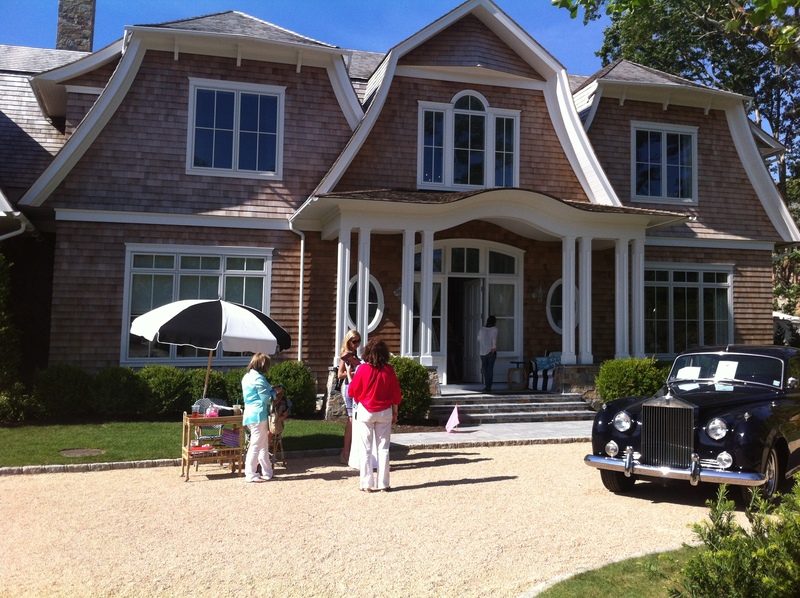 We are an impressive lot, if I do say so myself, and we are entrenched in the High Point Market at so many levels….to the point where High Point Market practically serves as another WITHIT sponsored event. So, yes, quite abit to look forward to. What a great back drop with which to do business all the while, wouldn’t you say? And you know where I will be May 16-19 and Aug 11-13. Hope to have the pleasure of seeing you in New York and Atlanta GA respectively as well. In the meanwhile, a successful High Point Market to all. Ask and you shall receive, and receive and receive…. …or, the Magic Penny Effect. Sara King, principal at Optimum Insights, led one of the break out sessions at above mentioned conference, offered a new perspective on “asking” when she put out to the room full of women….”who here felt good doing things for other people,” To this the room immediately filled with raised hands. She further put out to us…”when we don’t ask we rob the giver the ability to give/feel good…like we feel when we give”. Hmmmm. Christian Cedras, the managing partner of the BHi Music Group, is the epitome of being an asking agent and he started a chain of asking that ended up in a photoshoot that I helped pull together….yes, by carrying on the ASKING. Jon and the Jones, a newly formed NYC based band, which he represents, he felt NEEDED a traditional English chesterfield sofa as backdrop for the band’s marketing materials, as it spoke to their unique style. So he went about the mission of securing a sofa for said shoot…unabashedly advising that he wanted to do this for as little cash outlay as possible. Nuts and bolts he ends up calling me, for, as, in addition to having Antiques by Zaar, I am the US Sales Rep for a company called Distinctive Chesterfields. He asked did we have a NY showroom. No. We chatted for a bit as I tried to figure out how I could help him get what he needed. He then went on to ASK did I have a NY customer that might be ok to let the group use a sofa? Brazen eh? I delayed slightly and then said YES, and immediately thought of my customer John Angier (also in the music business as an arranger) if he’d be up for this unusual request. He actually was but there was a scheduling conflict and he couldn’t offer his sofa for a couple of weeks. Band was wanting to shoot the photos sooner rather than later. So, I ASKED yet another NY customer, Esther Budanitsky, a newly minted lawyer, that I thought just might be up for it. Go figure, admittedly an unusual request, but she thought it would be fun and so said YES. End result. The band got the shots they needed, with the “perfect” backdrop….and within their budget. Esther enjoyed opening up her home for this unique request and the lot of us all left the evening with a sense of kinship that was fostered in all the Giving that was Gifted in those ASKING moments. Side notes. Christian and his fiance Krista and I share a connection to Haiti on many many levels…including fact that his aunt owned the house my parents rented and which has served as a guest house for missionaries for over 20 years. In casual conversation found out that when Esther first moved to NYC she shared an apartment, not only in the same building we currently have an apt, but on very same floor! Esther and I grew our connection from customer -sales rep to new level of friendship and we both felt good about being part of this bands launching, taking a very keen interest in their path to success….and looking forward to hearing them in concert at B.B. King, headlining the Charity Concert for the 9/11 Memorial Foundation on September 17th. Recalling this all simply gives me a warm fuzzy, and further makes me realize what my big takeaway was at the conference. 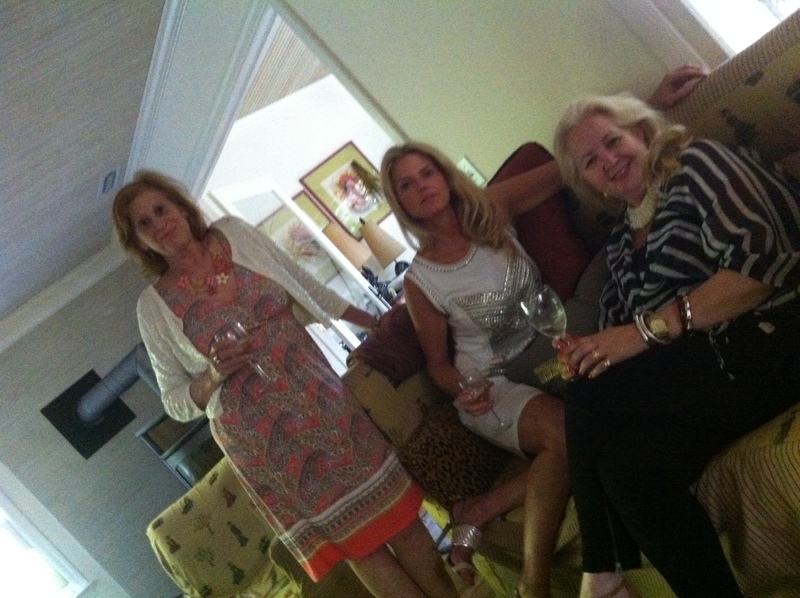 ….DRINKS With Libby, and, and, and…. 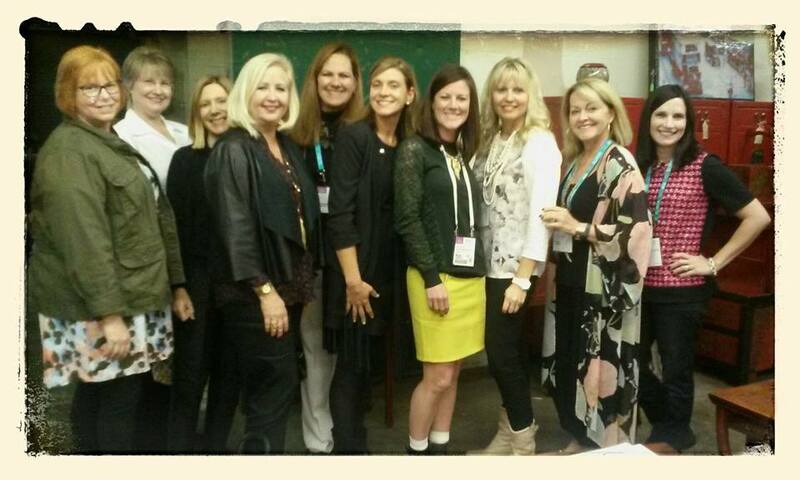 WITHIT, is first and foremost a networking group for, just as it’s acronym says, Women in The Home Furnishings Industry Today…but what you possibly don’t count on, is the Gift of hard and fast friendship that you receive from so many of the women that you meet as you frequent the events planned by the organization. It’s like a pool of people have been handpicked for you and all you need to do is show up and fuel the connection that has been ignited by shared membership in this group. How cool is that? 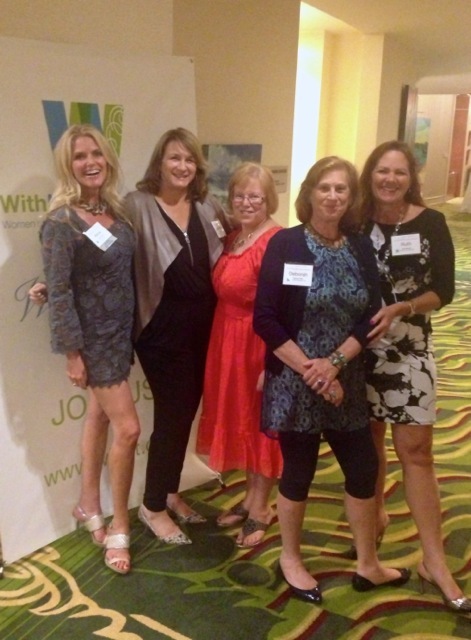 I first joined WITHIT in 2008, and by the nature of the person who introduced me to the organization, the ever so lovely Kathleen Holterman, I knew I would be in good company. However, it would take me until 2010 to FINALLY manage it into my schedule to attend their annual NYC Inside Design Tour, blog on most recent tour here….of which I now plan as part of my April each year, followed by attending the Leadership Conference that same year, held each August…ditto there. NOT to be missed. What I didn’t anticipate this year was a 2nd Design Tour to follow in June. How lucky could I be??? 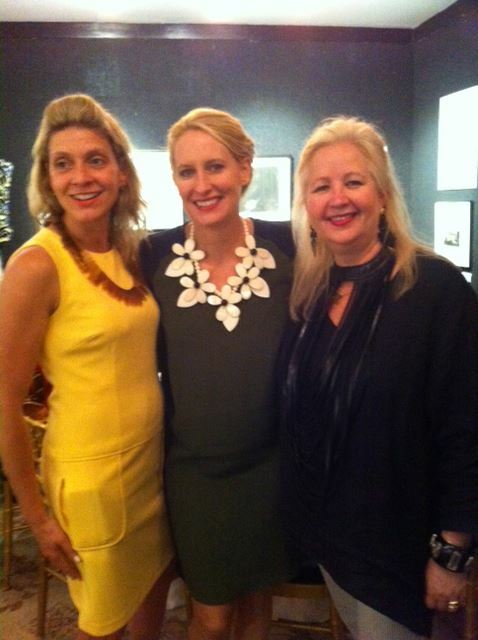 Yes, it would be my good fortune to be included on what I have quipped as the Long Island Inside Design Tour as organized by Deborah Klein, of DK Inside Designer…who I met on that very first NYC tour, and have been friends with since. The ever generous Deborah pulled together a fabulous weekend that was delicious on so many fronts that I hardly know where to start. She seamlessly brought together a group of people that knew each other, Betty Lyn Eller, Alicia Connolly, herself and yours truly (yes, all WITHIT members/who spent the weekend together….TOO much to write about/include here) and merged us on Sunday with NY based Designers that she does business with ,each that just knew Deborah, and toured us around Sag Harbor, orchestrated lunch in the park, a visit to English Country Antiques and then to the inaugural Hampton Holiday House before heading to the home of Libby Langdon for cocktails, photo opps and more time to mingle/get to know each other. She used the Holiday House as the anchor, to gather us all together, and created a day of it. 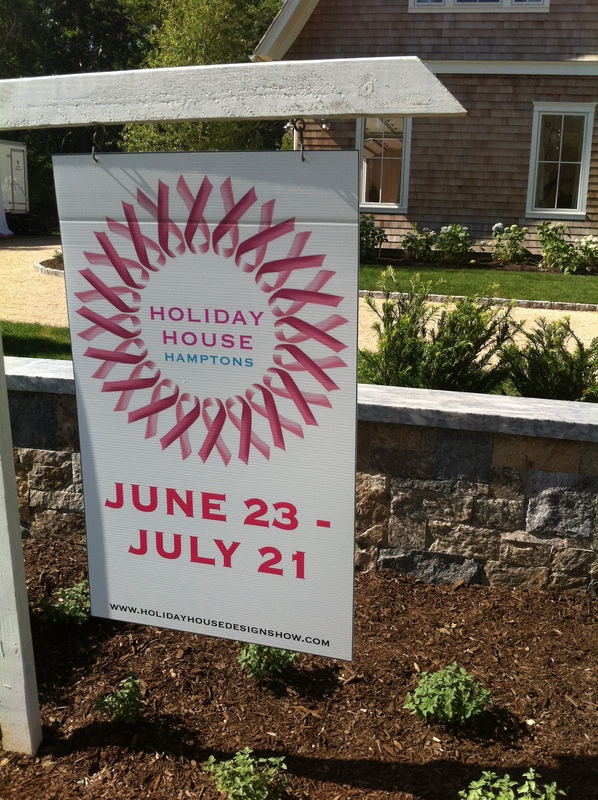 And before going any further, if you haven’t had a chance to visit the Holiday House, you still have until Monday July 21st to do so….it is worth it and it supports the cause of Breast Cancer Research. Everyone tours these homes with their unique perspective, but the takeaway is the same…of being visually and creatively delighted and inspired. 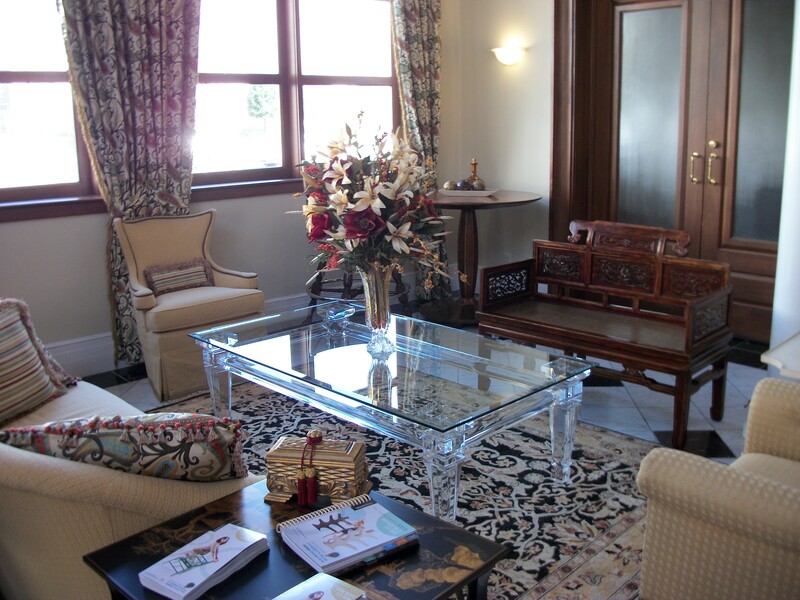 Personally for me it was my delight to see two of my Antiques by Zaar customers presenting rooms at the house. 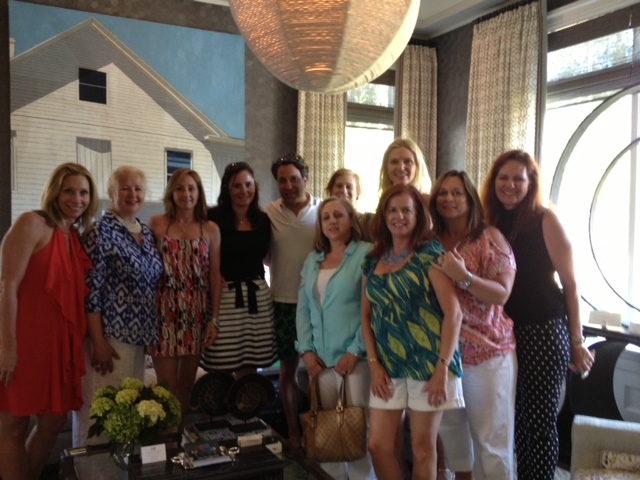 Thom Filicia, AbyZaar customer since 2002 and WITHIT Supporter, happen chanced by for a visit and took the time for a photo with our group, and Design House of the Hamptons, customer since 2011,which positioned an Antiques by Zaar Chinese Greek Key Console in their “ladies room”. And of course a pleasure to support the work of fellow WITHIT member Libby Langdon, who took on the project of the hallway to showcase her new line of peelable wall paper, skills as a photographer and her carpet line. After said inspiring visit it was off to Libby’s Long Island home for a cozy evening of cocktails. 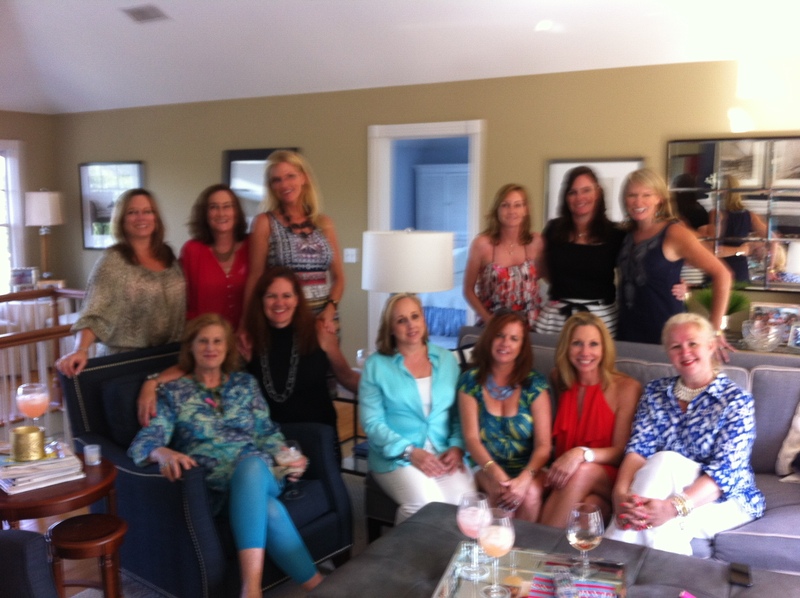 As we took over her living room, the energy and fervor was audible as the air filled with the dance of words as women that had only met that day became friends. We were a group of 11, 4 of which held membership in WITHIT…. one of us being the 2013 president. Somewhere in the course of the chatter a natural opening came for Betty Lynn to espouse the benefits of joining WITHIT and participating in our events. IE, you want more of “this” then come on along and you will NOT be disappointed….and she had 4 in the peanut gallery supporting this, including our 2 hosts. End of the evening we all left giving each other hugs and saying how great it was to get to know you/promises to stay connected…and with social media, an easy promise to keep. 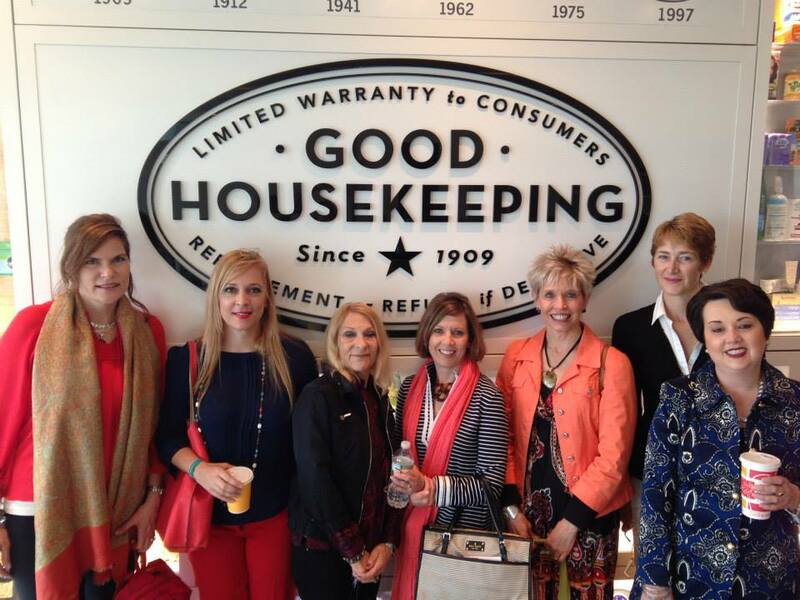 Yes, we all had in common the bond that we work in some part of the Home Furnishings Industry. A more salient bond is that most of us also share the common denominator of working solo…be it in home office or studio, and although dealing with people and product daily, we work in a bubble. On a day like this the bubble was broken for many of us as we joined with others that experience a similar working environment. Deborah, you did good. Thank you so much for joining us all together and orchestrating all…taking us out of our respective bubbles and leading us through an inspirational day…and for some of us weekend. 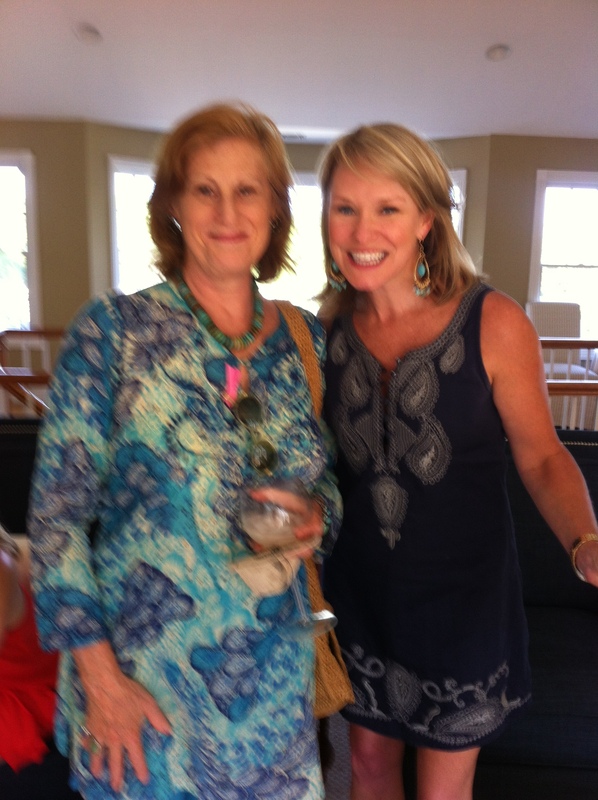 And Libby, thank you for your kind hospitality in opening up your home to us. I for one left the weekend feeling like I was on a cloud, with immense gratitude for how my world continues to be enriched by the gift of friendship from my growing bevy of “gal pals”…and not to forget all the Design Inspiration. For pix of the Design Tour Day, click here, and for pix of the entire weekend click here. P.S. 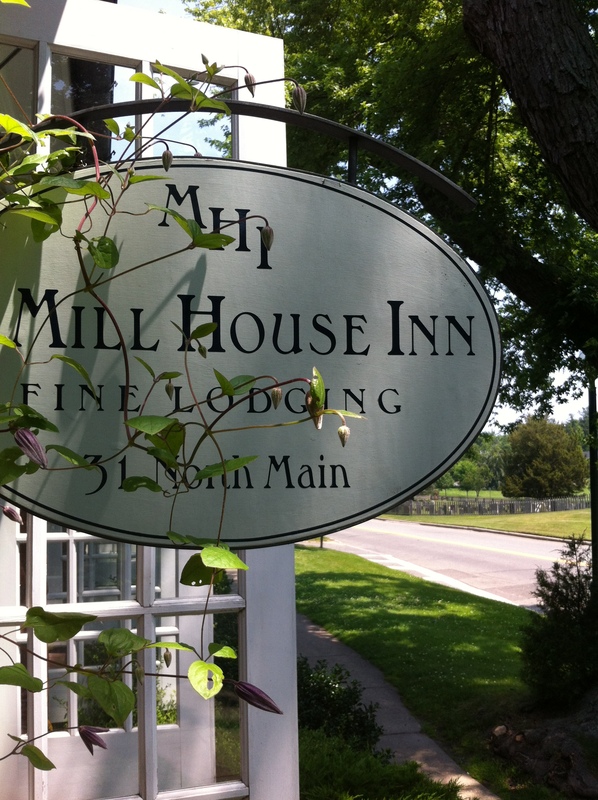 My walk on a cloud continued for yet another two days as I extended my time in Long Island to visit Antiques by Zaar customer, since 2002, come friend, Sylvia Muller, proprietor of the Mill House Inn in East Hampton….THE place to stay in the Hamptons…and, per new AbyZaar customer/old friend of the Mullers suggested, it could also be touted as the Antiques by Zaar Showroom of the Hamptons for all the AbyZaar merchandise that has found a home at Mill House. ….we are here to Lift Up and to Be Lifted Up. Seriously, we ALL have something to offer each other. Nobody has nothing to give. But we are all at different places in our lives, and it only takes a spark of a conversation for the door to open for such a beautiful transaction to occur where you either find yourself Giving or Getting….the real beauty in that you Get when you Give…this is not new news eh?. And what a beautiful thing to experience this first hand, full out, with a group of women, Gifting this to each other. 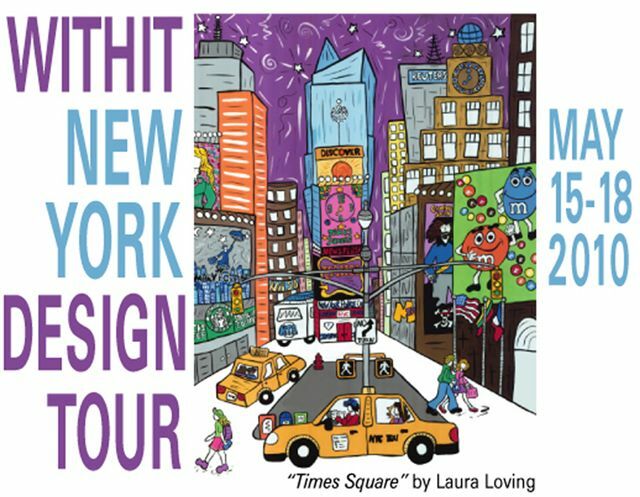 This is what has been my experience this past 3 days in New York, as a participant of WITHIT’s Annual NYC Inside Design Tour….and it can be yours too. 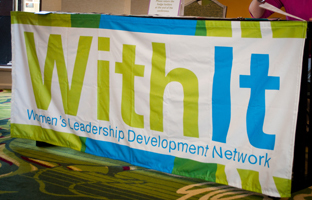 Yes, a plug for WITHIT’s Annual Conference right here. It is my 4th year on the tour, and each tour I come away with the self same feeling of exuberance ,of being fully recharged/energized and just plain excited for the camaraderie that has been felt throughout the entire event, and this year is no different….why should it be? All the ingredients for a fantastic experience are there. NYC as the “venue”. How can you go wrong there? Hostesses Betty Lyn Eller, yes, our 2013 prez, and Jana Platina-Phipps (and committee of Deboarh Klein and Alicia Connolly) care so deeply about the experience they want the tour members to have and it shows. Each year simply builds on the year before. 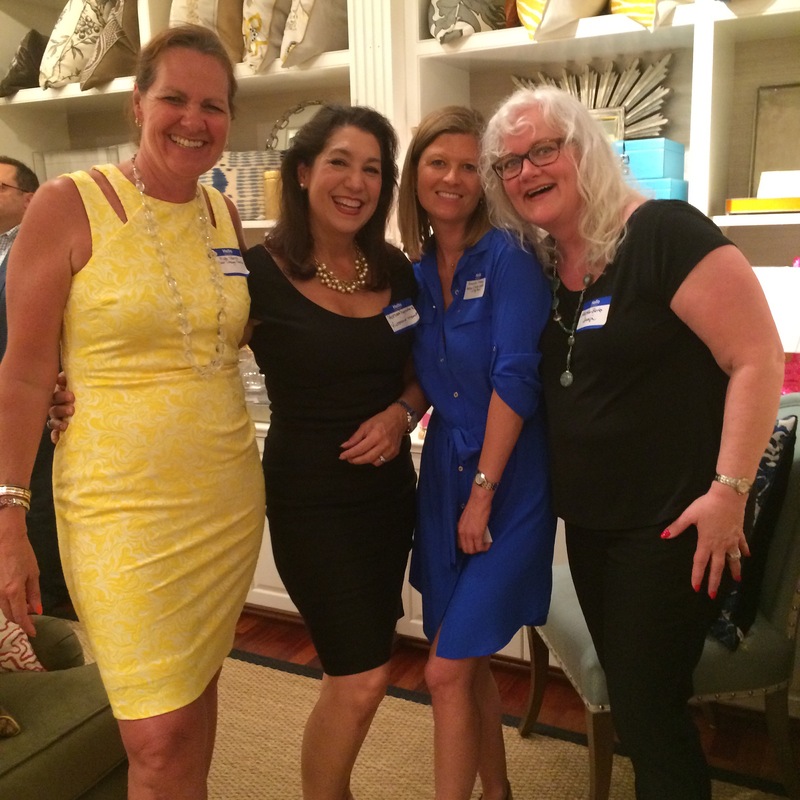 This year the weekend was launched with a cocktail party in the to die for apartment of a client of Mary Knackstead, WITHIT member….and so much more, topped off with a book signing of Stiletto Network by Pamela Rykman. Other Doors? Carpet Town, Baker, Crosby Street Hotel…all in Soho, Good Housekeeping Research Institute, Tinsel Trading, Global Views Showroom, and Apartment Therapy …also a WITHIT member. This is by no means a complete list…yes, we covered ALOT of ground…. of what we experienced this weekend…simply these are the places and people that hosted us,welcomed us, and fed us, ever so graciously….and on Sunday it was a group of drowned rats that came through each door….ending with a wonderful sit down dinner at the National Arts Club, thank you to WITHIT member/artist Barbara Krohn, for opening this door for us, topped off with a book signing by designer Celerie Kemble. 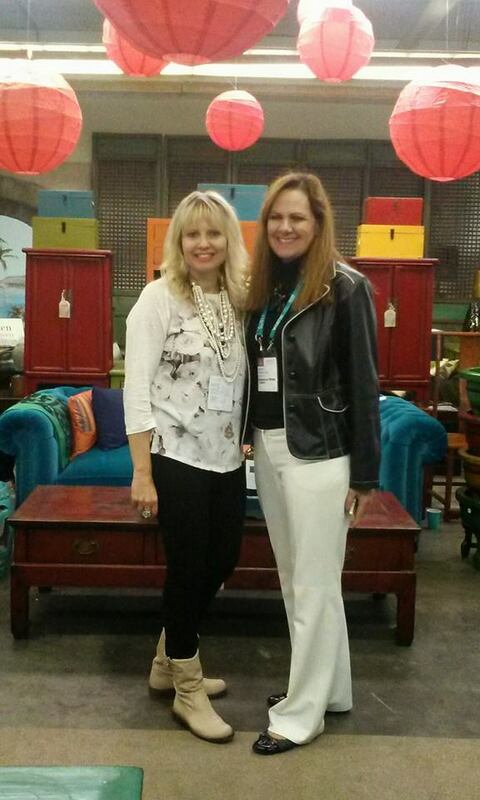 As members of WITHIT, the one thing we all have in common is an affiliation to the Home Furnishings Industry. And under that umbrella there is a phenomenal gambit of expertise, from all angles and spectrum s of the industry, which in and of itself is inspiring. I don’t think I am out of line in saying that every single participant of the tour left NY with a glow…one that was garnered from a weekend that wasn’t only educational and inspirational from the well crafted and executed program, but was completed by the many exchanges that happened at the cocktail parties, lunches/dinners, and yes, walking from one event to the other. We all left feeling like we had fed off of each other…feeling less alone, feeling understood, supported, inspired and acknowledged….and more. Yes, WITHIT is definitely part of the “Stiletto Network”….and I am so thrilled to be part of what is a new and exciting movement that is sweeping the nation….of women, executed by women and not only for other women but for the world. As we join forces, helping each other UP, we are indeed changing the world. P.S. 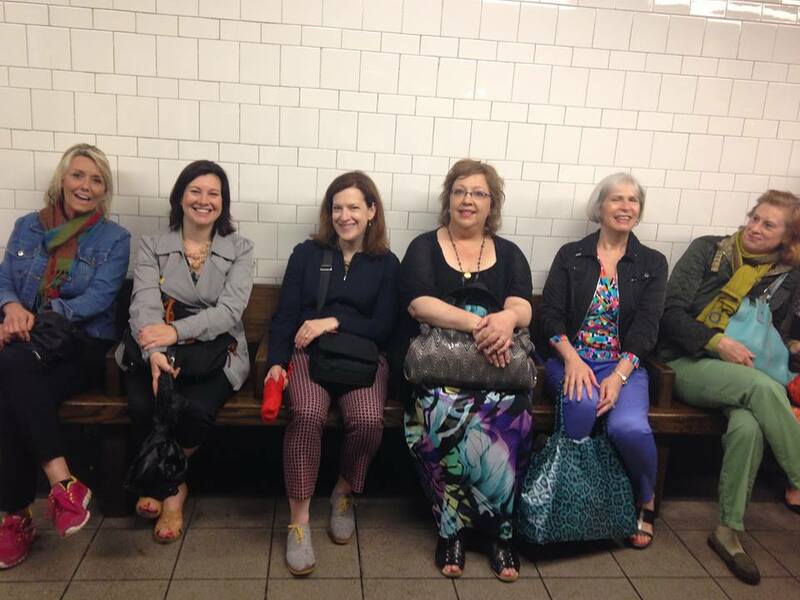 Want more pix of the WITHIT weekend in NYC ? Check out the Pinterest Board where all are invited to post our fave pix. Also, HERE are my pix on my personal Facebook page. Last week, during the HPDC Designer Wed, we had the pleasure of a visit from Joyce Allen-Crawford. The intention of her visit was two fold. 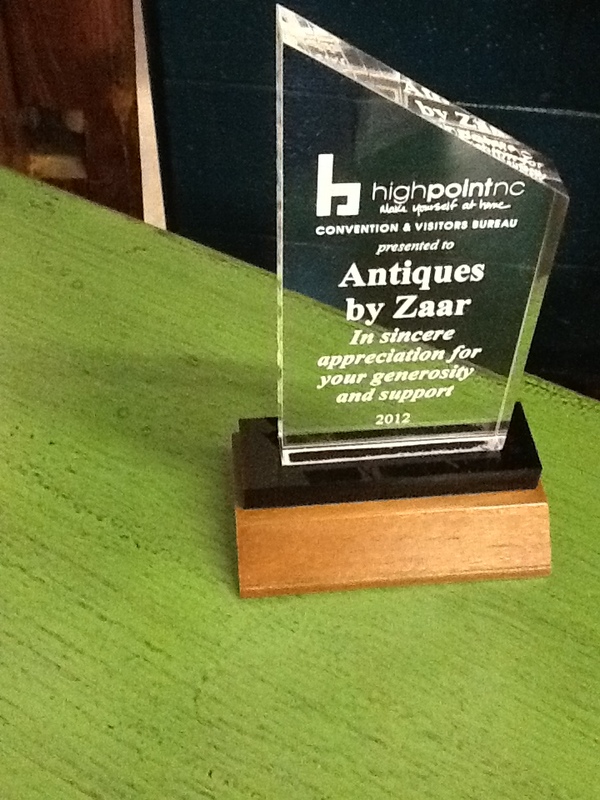 As owner of her own design business she was scouting out pieces for her clients, and as Manager for the High Point Convention and Visitors Bureau, she was delivering the token of their appreciation as shown here. Joyce and I met several years back, through our mutual association in the High Point Design Center and thus she was aware of my antique business and the fact that my warehouse for my collection was located in High Point….actually, quite literally 1 mile down the road from the Convention Center/Visitors Bureau. She was also aware of my interest in doing whatever I could to support driving business…retail or trade, to boost the commerce happening in High Point. Thus, it was a shoe in for Joyce when she first set foot in our showroom. She quite simply needed to decide what would work best in the Center. 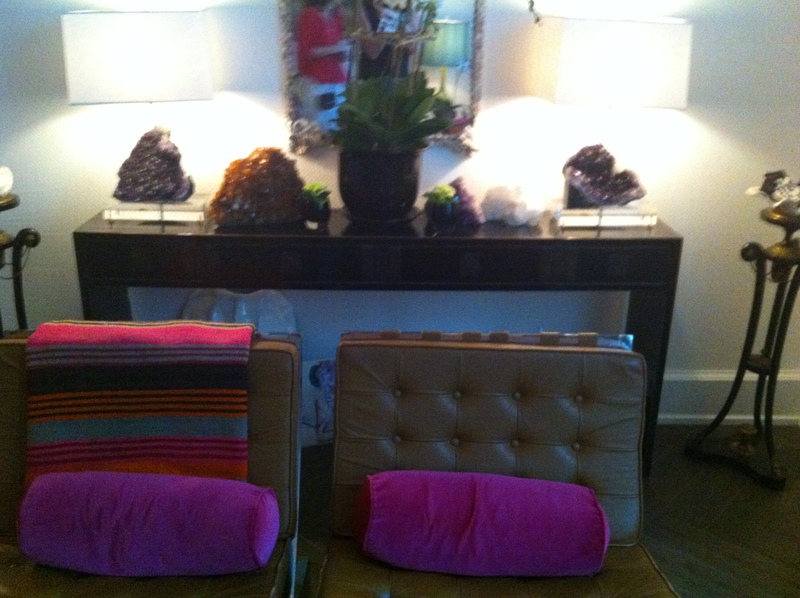 Per the photos below, you can see that our pieces pull together the setting quite nicely. Great job Joyce. 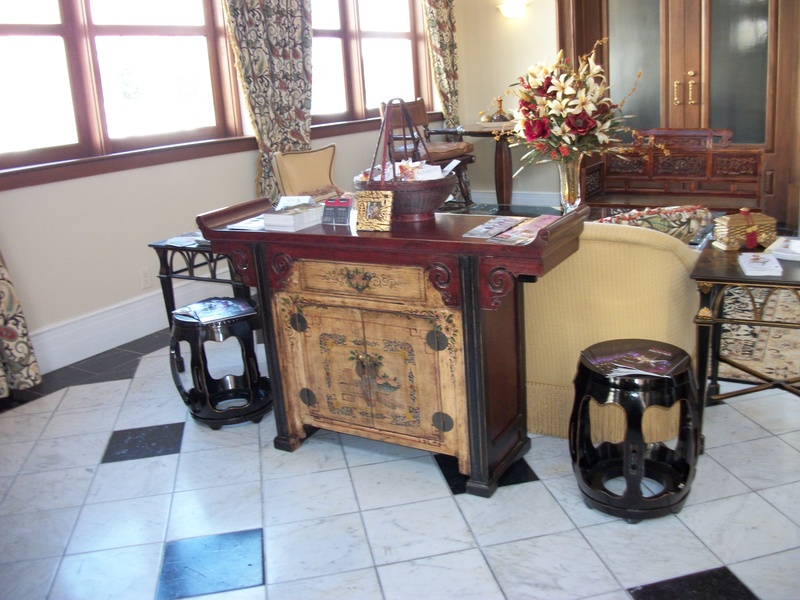 My Mongolian chest, black pumpkin stools and love seat have added to the warmth created by Joyce…with further contributions from several other furniture companies based in High Point. 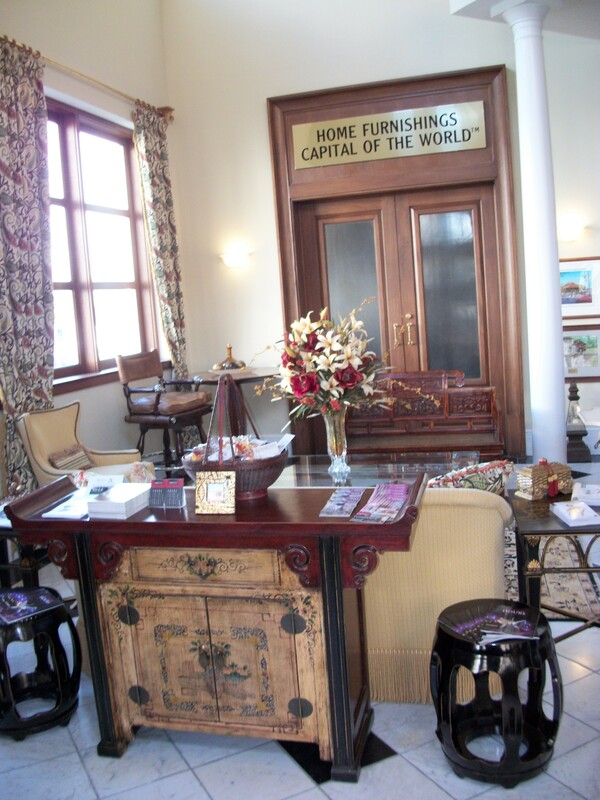 Thrilled to be able to add to the ambiance of the Welcome Center and also to have this venue to promote my business. Yes, we keep a nice stash of post cards available, shown here on the left, to offer contact info, as well as keeping a basket of fortune cookies available…with our business card attached of course. And similarly, am happy for the opportunity to offer yet another furniture shopping resource to visitors to High Point. All good for everyone eh? FYI, yet another hat Joyce wears, as she serves as rep for the jewelry line Cookie Lee. 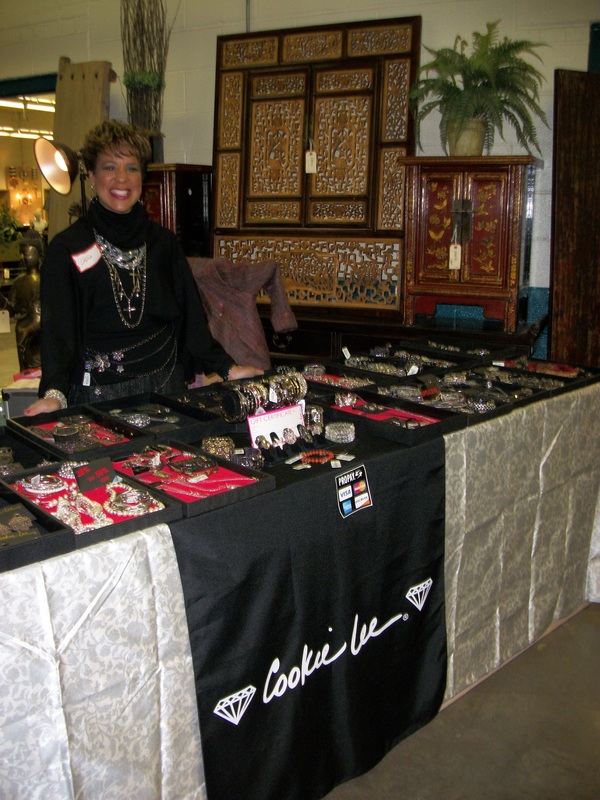 Thrilled that she joined several vendors in November at our first annual ZAAR Design Center Christmas Bazaar. We had a great day…first hosting guests from the High Point Design Center and later in the day from WITHIT….evening event punctuated a potluck dinner and presentation from Kimberly Stone ,WITHIT and ZDC member, of Sans Souci Sisters, sharing the story behind the very personal hand made creations in her Santa Claus’s. Check out photos from that great event here. Chinese Antique Armoires in the Bathroom? Mais Oui! 15 Years of Building Relationships Online….